I gotta say I find it so interesting to look back on the market. 13 years ago a 1 year old 28 with 150 hours struggled to sell for 85k. Today your looking at a 28 going for 130-140 (if you can find one) same condition as listed above. Also interesting to see this same vessel with over 1000hrs and 13 years of use are at prices close to the example above . Nuts. The bay boat market got just as stupid. Atticus, mattlex and ED_246 like this. I am amazed at how much boats cost these days myself. I wish I had a couple of them back because I sure as hell can't replace them for anywhere near what I sold them for. The boat in my signature with a Garmin 4212, an in hull Airmar P79, VHF, flushable head and the twin Hondas...no trailer...listed for $103,000 and sat on a dealer lot unsold for two years. It is a 2006 model. Lots of kevlar in the hull, and was an expensive boat to build back in the day...and at that price they were not selling like flapjacks. They discontinued the model after a short four year run. High boat prices haven't just now popped up. Remeber when everyone was buying custom choppers during the last economic boom? 1breakinit and cnowery13 like this. Paid $32k for my 1999 Pursuit 2870 CC in 2006. Have a buddy looking for an older Pursuit and can't touch one for close to that! Cant replace it so I'll keep it. What were the interest rates back then for a boat? The monthly payment posted above mine reflects an 8.5% interest rate. This is why You see so many rebuild and project boat posts. The ridiculous prices has caused a boom in business for companies that sell glass, resin,foam, plywood,and fuel tanks. Good boat CAN still be had for reasonable prices for those who don’t mind putting in a little diy work. Huge market of “project boats” craigslist and other sites. Boat rebuilding has become as popular almost as boating itself. We bought our 2002 Ventura 210 a 21 foot DC Boston Whaler with a Merc 225 Opti in 2002 brand new with trailer for $37500.00. We have put many many hours on the boat since 2002 and it's still running strong today. New boat prices are out of sight. The day we brought her home.Best toy we've ever owned! 16 and some change years later. Romeomikehotel and MariusD like this. 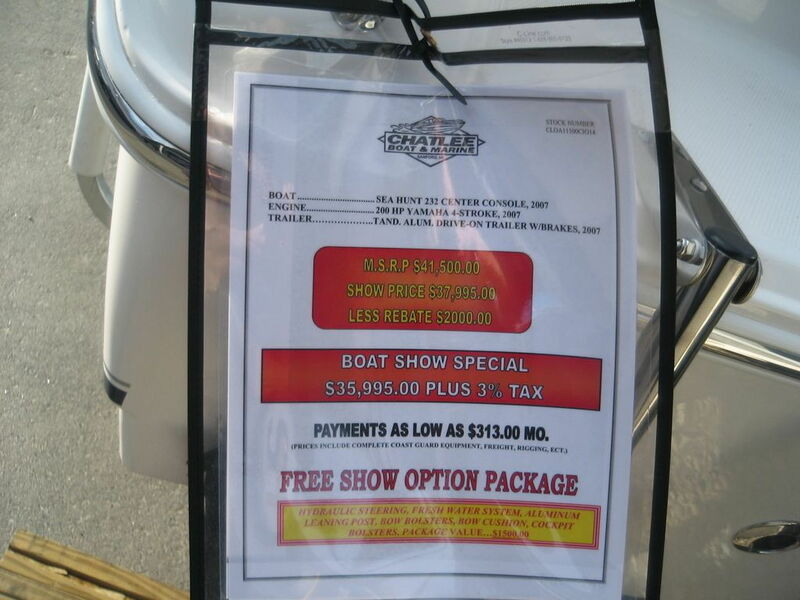 Where do you think the used and new boat prices will fall on the next economic down turn? Being a current buyer Im having a hard time justifying any of the used boat prices when they are just shy of what these same boats cost new 5-10 years ago. I understand inflation and all that but then were also talking about boats with 1000+hrs or old two smokes. A lot of these boats sit on the market for awhile but its a hot market and a lot of them do end up selling. Ive always been more of a let the first buyer take the big depreciation hit and pick up something thats gently used at a nice discount, but in todays market i think it makes more sense with so much less of a price gap to just purchase new with warranty and not have to worry about 5-10+year old gas tanks etc. When the market does turn and those people with 20 year payment plans realize they owe more on the boat than what its worth what will happen to the market? When the demand falls short of the supply with repowers and the new outboard motors are lasting 2x 3x 4x longer than what they replaced will there be a pull back in the ridiculous pricing of outboard motors? Trucks are the same way, maybe worse. MSRP on my 2010 Silverado was $34k. My 2018 F150 was $64k. Both we comparable trim levels for their time. I bought my 2003 Century 2900 with twin F225’s new in July 2003, paid right at $90K for it plus electronics. Same boat today, with bigger motors is around $190K! I’m into aviation and I see these same discussions on those boards regarding airplane prices and the used aircraft bubble! Im in the same boat as you, pun intended. Not seeing anything used at a significant discount so why not get new and have full warranties . Only thing appealing about used is that boats can be like houses. New construction houses often have their share of minor quirks and annoyances, sometimes it's nice buying a home that is a couple.years old even if you want brand new because someone else has already fixed those issues. 2003 Century 21 CC with 150 Yamaha 2s, T-top for $21,000. 2017 with 970 hrs with a Raymarine A50 and trim tabs sold for $11,000 in a week. I was very happy with that price.